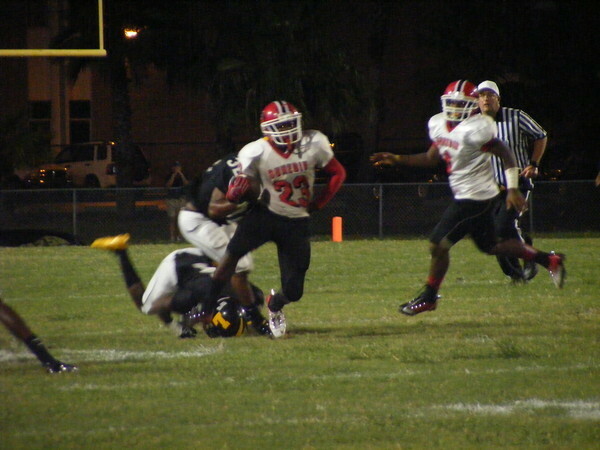 Tampa Bay sources say UMass has offered to Tramaine Batten, a 5-10 190 pd RB from Dunedin HS in Tampa. Last fall Batten had 1, 194 yards rushing and 10 TD's. Also had 150 yards and 3 TD's receiving. Batten holds an offer from Toledo. Good Morning on Leap Day. As most of you know, I'm an amateur astronomer. The true seasonal year is about 365.2422 days, so an additional day is needed every four years to keep the seasonal year in step with the calender year. Liam Coen has been promoted at RI. He now adds the duties of passing coordinator to his QB coaching. UMass football won't be the only Minuteman team to play at Gillette this year. UMass lax will play in the 3rd Annual Lacrosse Classic on April 21st. A South Carolina writer says the new NCAA football rules are "ill advised". Several sources say UMass has offered to Joey Ivie, a 6-4 260 pd DE from Dade City. FL. A Collegian writer says it's a good time to be at UMass. I believe that people involved in UMass sports are among the highest percentage of alums who are also involved with the University. As I keep pointing out, UMass' move to FBS is not a take-from-Peter-to-pay-Paul situation. The idea is to have UMass working at the highest level in all aspects of college life: academics, research, quality of life and athletics. NBC Sports mentions UMass is amoung the four college football programs moving up this spring. Just think, in June when the college football magazines come out, the Minutemen will be in them. No more special order publications. Temple News online looks at the difference in revenue between the Big East and the MAC and the A10. The BC Blog "BC Interruption" looks at the Eagles 2012 schedule. Add UConn recruit Ebenezer Ogundeko to my list of favorite sports names. Several sources say UMass has offered to Darren Hambrick, a 6-2 215 pd LB from Tampa Bay, FL. 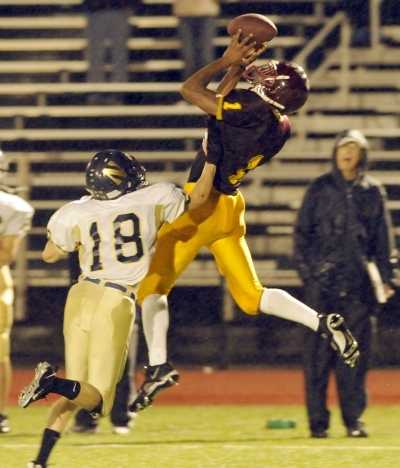 Hambrick holds offers from Kent State and Western Kentucky. ESPN Quick Hits says Victor Cruz is raising UMass' profile across the country. The Giants are considering what to do with Cruz's contract. Another FCS program transitioning to FBS Texas State, starts its FBS era. Texas A&M may break a 105-year tradition in 2012. ESPN's eastern recruiting blog says UMass has offered to Darius Commissiong, a 6-2 280 pd DT from Forestville, MD. Commissiong holds offers from Boston College, East Carolina, Iowa, Maryland, Syaracuse and Virginia. Emil Igwenagu's results from yesterday's NFL Combine workouts. Nepatriots.com says Emil looks "very intriguing". Toledo takes winter conditioning to the next level. Have you checked on First Row streaming video lately? 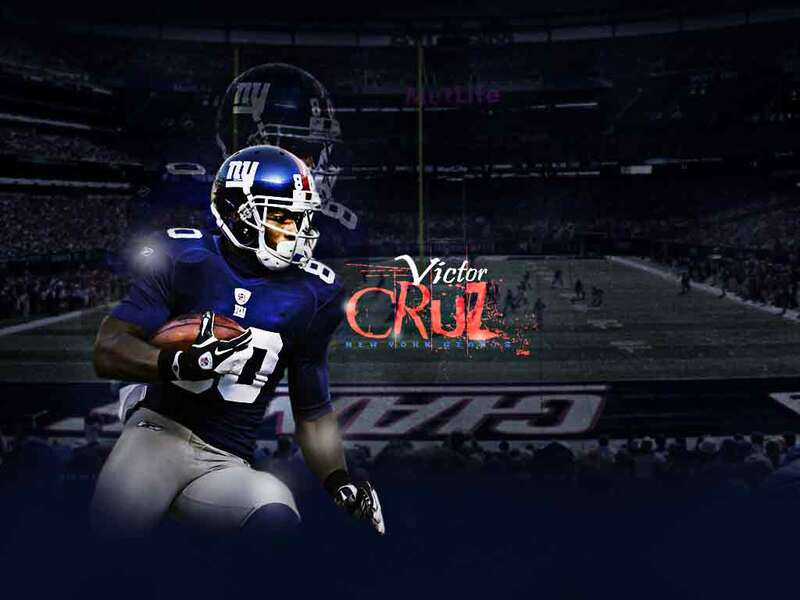 Victor Cruz looks to capitalize on his growing profile. The Giants GM said they only took a chance on Cruz because he was a local player. Barry Tramel, a Oklahoma Sports Blogger discusses FCS Vs FBS games this season and "opines "nobody wants to see UConn play UMass". Not to mention UMass isn't FCS anymore. Besides Emil Igwenagu, the MAC will have seven former players at the NFL Combine. Speaking of Emil, he did 19 reps at the Combine's bench press event. The UMass Daily Collegian has some details on Victor Cruz's upcoming book. The Bengals special teams, including leading tackler Jeromy Miles, look to repeat their top-tier finish in 2012. Brandon London gets six catches for 81 yards last November 13 and runs over a whole bunch of Tiger-Cats in the process. London has a new two year deal with the Larks. Matty V. has a quote from the Commissioner of the A10 that says she realizes football drives the market. Philly.com has a story about Temple's possible move. A copy of the UMass-MAC contract is available here . Philly.com also states the a Temple move to the Big East would change the recruiting dynamics of the Northeast for both hoops and football. Yahoo Sports has a story about Emil Igwenagu and UMass football. ""When you look at the number of guys they've placed in the league, UMass is now a program that is sending players into the NFL regularly," the scout said. "And they're guys making an impact, guys starting and contributing. You have to look at these players now." Emil's official weigh-in numbers from the NFL Combine. I forgot to mention Emil and James Lizotte made the CAA All-Academic team (.pdf download). A Bleacher Report writer looks at every opening game in the 2012 season and predicts a UConn victory over UMass. He also uses an image I took. ESPN reports that Bryant University has offered to LaSalle (RI) Academy's Josh Morris, a 5-10 170 pd athlete. Morris was the RI GatoradePlayer-of-the-Year. Relevant quote for UMass fans: "“I think BC, UMass, Temple or UConn might be the next to offer,” Morris said." Matty V. has a story about the apparent move of Temple to the Big East. There are a number of ways this could play out for UMass. I think the Minutemen would like to stay in the MAC, at least to start our career in FBS. Jumping directly from an FCS program to a BCS league would be more risky. It's possible the MAC could add a team to replace Temple. Several writers have mentioned Army, which is closer to UMass than Temple. Another big impact would be on the A10, which would be losing it's premiere basketball program. It would also be the death blow for Villanova's move to the Big East in football. The Wildcats would not be happy about sharing Philadelphia with another Big East basketball team. This could trigger moves in both A10 and Big East basketball. The Times-Herald says Temple's move could harm Villanova. Victor Cruz has reportedly signed a book deal. Eli Manning has no interest in a book right now. Emil Igwenagu will be at the NFL Combine for the next couple days. The Combine's homepage is here. 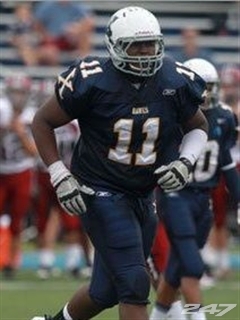 Rivals.com reports UMass has offered to Maurice Hurst, Jr, a 6-2 285 pd DT from Xaverian Brothers in MA. Hurst also holds offers from Boston College, UConn and Perdue. Matty V reports that UMass has hired Mike Kruczek as offensive coordinator. Mike Kruczek and Dante Culpepper. WGGB 40 says Victor Cruz helped energize the UMass home crowd in the Minutemen's home game against Xavier. MassLive.com has more on Victor's visit. Cruz knows a lot about hoops as he was a star in Paterson before his football career. Soon-to-be CAA member Georgia State is looking into FBS status. 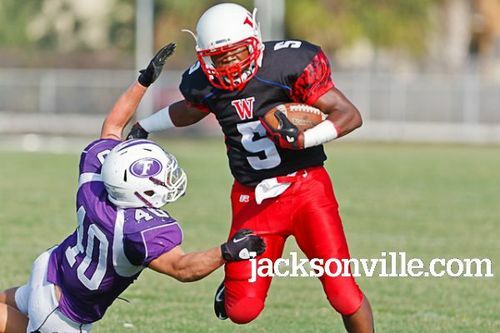 ESPN shows UMass is interested in Lexus Walton, a 5-10 190 pd RB from Jacksonville, FL. This article quotes him as saying some BCS teams are looking at Walton as a DB and some of the non-BCS teams as a RB. 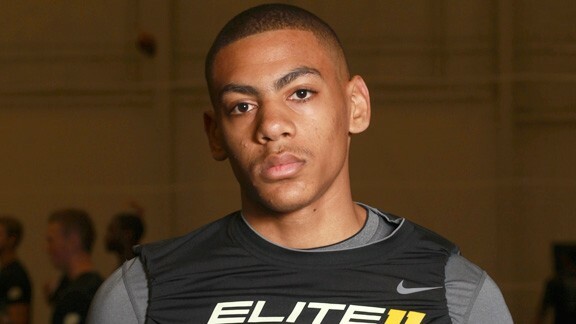 Walton has offers from Mississippi and Southern Mississippi. The UMass website has more on Emil Igwenagu's time at the NFL Combine. The Combine will be televised on the NFL Network. 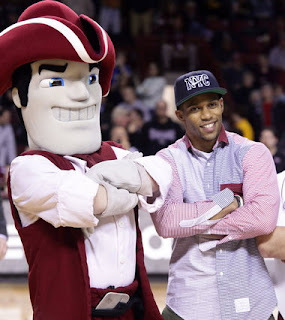 Victor Cruz is expected to make an appearance at tonight's UMass-Xavier game. UPDATE: Matty V has an update on his Gazette blog about Victor. Since it's short, I'll just add it here instead of linking to it. away a Vizio 42" HDTV to the winner of a half-time salsa-dance contest. contest. Get there early and BE LOUD! 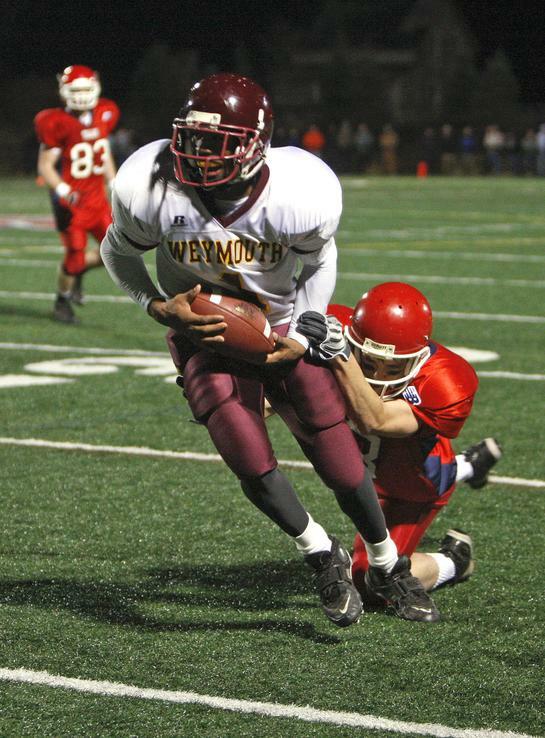 The Worcester Telegram covers some local athletes at the Combine including Emil Igwenagu. The MAC-affiliated Go Daddy Bowl feels secure if the NCAA raises the bar for bowl eligibility. Ida Shipp raised three pretty successful kids. Jenny Dell tells how she moved from her Connecticut roots to a UMass cheerleader and on to being the newest NESN sideline reporter. Tulane's president says a BCS-only playoff could be acceptable to non-BCS leagues, if the revenue distribution improves. Every football fan knows the Super Bowl economic indicator. Now an intrepid reporter finds that an American on the cover of the SI Swimsuit edition is positive indicator for the stock market. Original article here (subscription). Relevant quote: That little known measuring rod shows that since 1978, whenever an American graced the swimsuit cover, the total return for the S & P 500 averaged an annual gain of 14.3% and was on the plus side 88.2% of the time, while during those years when no American was on the cover, the index averaged a total return of 10.8% and was positive 76.5% of the time. . . This ESPN blog post has more information about UMass offers to Brendon O'Neil and John Van Allen, who I blogged about last Friday. It also mentions UMass has offered to Jack McDonald a 6-5 275 pd OL from Boston College High in Dorchester. Recruiting capsule on him here (in middle of article). First of all, check out an update on Ryan Carter in the comments section of last Wednesday's blog post. I think it's interesting that anytime there is something negative about UMass, dozens of news outlets pick it up. Ryan Carter does something heroic and, as far as I know, the sole article about his story has been in the Gazette. 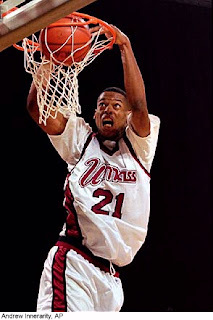 UMass legend Marcel Shipp was at the UMass hoops game last night being honored as one of this year's UMass Athletics Hall-of-Fame class. An NFL Draft report on Emil Igwenagu from a Jacksonville Jaguars blogger. He projects Emil as a 5th to 7th round pick. Victor Cruz will not get performance pay for his 2011 efforts with the Giants. The Penn State has two former UMass assistant coaches John Strollo (1992-95) and Ted Roof (1994-96) on the new coaching staff. The Nittany Lions also grabbed a QB coach from Miami of Ohio. Emil Igwenagu is working at the TEST Football Academy in Martinsville, NJ to get ready for the NFL combine. NESN compares Jeremy Lin with Victor Cruz. More on Victor Cruz and Kate Upton. Examiner.com says the MWC-C-USA merger was forced by BCS greed. SB Nation looks at how to evaluate college football recruiting rankings. More UMass 2013 recruiting info tomorrow. Mrs. Blog and I are off to Western Mass today to do some errands and take in this evening's UMass- LaSalle hoops game. The ESPN recruiting Blog says UMass has offered to Brendon O'Neil, a 6-4 230 pd TE from Burlingham, MA and to John Van Allen a 6-3 196 pd WR/DB from Avon Old Farms, CT.
O'Neil made the ESPN All-State Prep Team. This article features O'Neil. It says his father was Chris ONeil, who played for UMass 1978-1981. His father wore #70 and was a 6-3 270 OT for UMass. John Van Allen's ESPN page. Van Allen's Rivals page here. Van Allen has been gaining FBS interest early. As well as UMass, Van Allen has attended Junior Days at UConn, Duke and Maryland. Van Allen's Junior highlights above. Matty V. says UMass is looking to find a mutual date so that Victor Cruz could appear at a UMass hoops game. VAnDelaySports.com ranks the MAC recruiting classes. NBC Sports has the Spring Practice starting dates for some of the MAC teams. It doesn't look like Temple and UMass are joining the Sun Belt Conference. Where we were: the CAA gets a new TV package. It's mostly about the basketball side, but it appears CAA football might get some modest benefits. In the past, CAA football had to pay for some of the ESPN production costs. SB Nation says the turnover in staff at Boston College indicates things are going bad at Chestnut Hill. Randy Edsall is still winning friends at Maryland. It's official, Yale has posted an article about Yale assistants and Kevin Morris has been hired as offensive coordinator. The Yale News has more. The Daytona Beach News-Journal says UMass assistant coach Alan Suber is settling in at UMass. An ESPN blog says "numerous sources" indicate the new MWC-C-USA conglomerate is interested in A10 teams Charlotte, Temple and UMass as well as the Owls and the Minutemen for football. The current league reshuffling continues to be driven by football. Other sports continue to recede in influence. The ACC wonders "Where have all the basketball fans gone?" Victor Cruz's life continues to be unreal. SI cover girl Kate Upton asked Victor out and he turned her down. When you can blow off the SI swimsuit cover girl, you've arrived. UMass has offered to two more 2013 recruits, but I'm under some time constraints today. I'll try to have blog post up tomorrow morning. 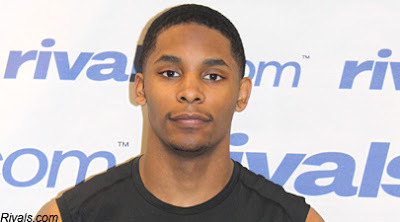 ESPN recruiting says UMass has offered to Milan Collins, a 6-2 190 pd QB from Forrestville, MD. This article has some information on Collins. Collins also holds offers from East Carolina, Rutgers, Syracuse and Buffalo. UMass football player Ryan Carter hopes to save a child's life. The blog, Mrs Blog and the whole UMass community are really proud of Ryan. Ryan's kickoff return TD above. UPDATE: Matty V. reports that Ryan had his surgery this morning and things went well. A Bleacher Report writer says UMass adds to the heft of the MAC. UMass' Emil Igwenagu will equal the number of players from Colorado, Colorado State, Northern Colorado and Air Force at the NFL combine. It will cost Memphis $5 million to join the Big East. The City of Providence puts the bite on Brown University. The News-Press says UMass has added a late signing to it's 2012 class as Dalvin Battle, a 5-11 175 pd RB from Fort Meyers, FL has joined the Minutemen. News-Press article here. Another article from the News-Press here. Battle is a Rivals two-star player. 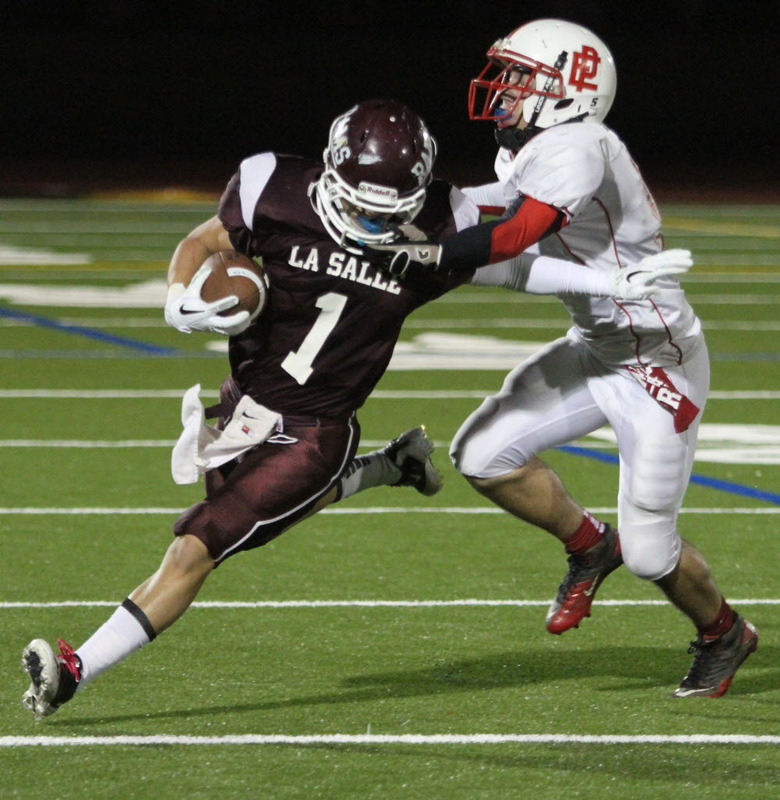 Battle ran for 1,006 yards and 19 TD in his senior season. Also had 17 receptions for 294 yards and 2 TD. The Patriot League will start offering scholarships in 2013. That would be good news for UMass as the Minutemen could schedule a local FCS team like Holy Cross and a win would count towards bowl eligibility. A Hattiesburg.com writer says C-USA could get as big as 24 schools including a Temple-UMass tandem. Boston College adds three assistant coaches, two of them from FCS/I-AA. Temple officials have met with officials from C-USA and Mountain West---and is in play for the Big East. Speaking of Conference USA, they're merging with the Mountain West. Off topic, but how could this guy's collection be complete if he hasn't contacted this blog. Victor Cruz says Mario Manningham's super catch was not drawn up that way. NFL Draft Geek has Emil Igwenagu #3 in his fullback rankings. NFL Draft Scout has Igwenagu as #2. NFL Draft Scout's Julian Talley page. NFL Draft Scout's Tyler Holmes page. Victor was also at the Grammy's. The recent death of Whitney Houston was a sad thing. I saw this link about the deaths of two former Akron football players over on the MAC Conference board. Rick Pitino continues his campaign to have Temple join the Big East. No UMass related football news on the wires this morning. Boston College's football staff is taking hits. Does college football recruiting need an early signing period? I watched John Calipari's Kentucky team play Vanderbilt last night. Does Anthony Davis remind you of Marcus Camby? Great minds think alike. I Googled for an image of Camby to post and found : Anthony Davis, the next Marcus Camby??? Matty V. has a story on Coach Molnar's compensation package. It seems right in line with other MAC HC packages. Interesting is the fact that there were 120 FBS teams last year and 50 of them payed their coach $1 million or more. Athlon Sports looks at the new head coaching hires (including Coach Molnar), in 2012. Jeff Thomas mentions a $500,000 donation to UMass football, plus the reason that UMass has not published its assistant coaching hires. Victor Cruz is meeting with publishers about a book deal. Boston College loses a pair of assistant coaches to Temple and Rutgers. Arizona State's president is pushing for an eight team college football playoff. The Super Bowl riveted NY Giants fans to their seats during the close fought contest. After Brady's Hail Mary throw was batted down, the NY water system recorded one of the greatest flushes in the city's history. The level of the city's reservoir dropped two inches. MassLive.com reports UMass is seeking $33 Million to support UMass athletics. Part of the project is to fund the new football operations center and new press box at McGuirk. UMass-Michigan this year will be a day game at the Big House. Maui Now has a report on Nick Rolovich's moving to Nevada. The story says he was under contract to University of Hawaii until March 31st. That means he had not signed with UMass. Speaking of offensive coordinators, former UMass assistant coach Mike Dunbar (1984-1986) has been hired at NIU. Victor Cruz thinks he deserves a raise. FoxSports Ohio says hiring Terry Bowden was a huge landmark for the Zips. The NCAA voted to make a major change in kickoffs for the 2012 season. I've blogged about 2012 recruit Khary Bailey-Smith before. ESPN quotes him as saying he made the right decision to join UMass. UMass assistant coach Nick Rolovich has left to become OC for Nevada. Matty V has a story here. The Nevada website has an article on Rolovich's hiring (without mentioning UMass), here. Jeff Thomas has a story about former UMass HC Kevin Morris becoming the OC at Yale. Former UMass assistant coaches Tom Messala and Malik Hall (DL line coach in UMass' previous staff) will coach at Wagner this year. Julian Talley is one of the players featured in this story ( second page) about the Players All-Star classic. Now Victor Cruz is conquering the fashion world. The Honorable Bill Pascrell, Jr rises in the NJ House of Representatives to praise Victor. The Pat Pulpit predicts the Patriots will re-sign James Ihedigbo to a two year $2.9 million deal. 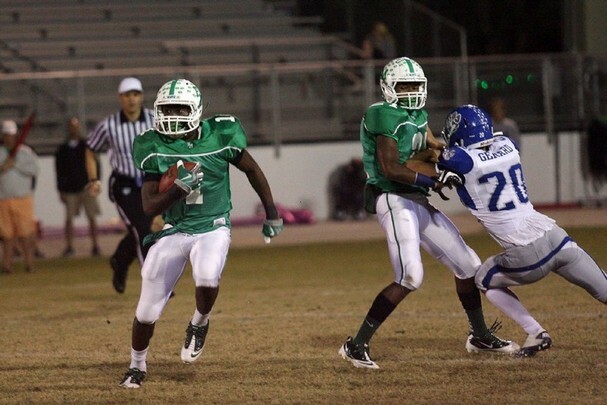 The Daytona News-Journal has another article on Coach Suber joining the Minutemen. Memphis to the Big East in both basketball and football. The article says Coach Pitino wants Temple too. Victor Cruz was a fan favorite at the Giants Super Bowl celebration. Victor took his salsa moves to City Hall. 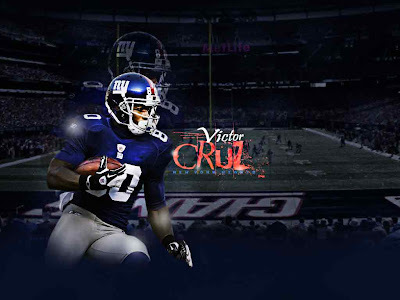 Victor Cruz jerseys on e-bay. 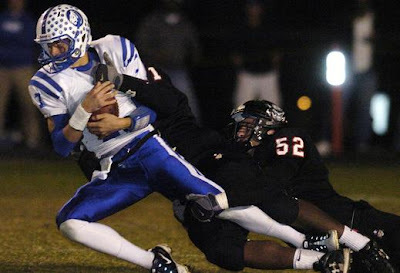 UMass reported on signing day Cameron Mock, a 6-7 305 pd OL from Clayton, NM will be joining the Minutemen in 2012. First Team All-State as an offensive lineman and second team All State as defensive lineman. Mock was team captain of both football and basketball teams. James Ihedigbo has some classy quotes in two stories when he met with the press after the Patriots returned to Foxboro. Article from WEEI here and the Boston Herald here. James Ihedigbo and the Pats are back at work. 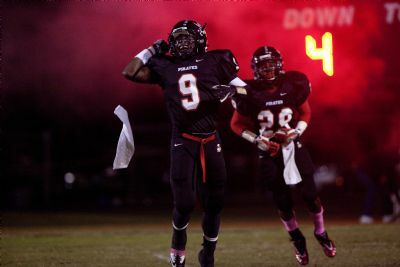 BTW, Ihedigbo is a free agent in 2012. ESPN says it was a down year for Boston College recruiting. Is the MAC the best QB league in FBS? The Boston Herald says Victor Cruz is on top of the world after the Giants Super Bowl Victory. Victor will have A LOT endorsements. Meanwhile, in NY, they're expecting millions for the Giants ticker tape parade. 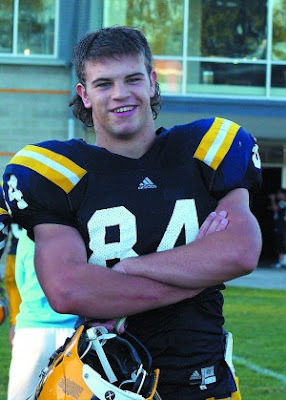 On February 1st, UMass announced that Nevin Cyr, a 6-3 230 pd TE/LB from Cushing Academy signed with the Minutemen. Cyr had 62 TT 1 Sack 1 INT for Cushing. Cyr's 2011 highlight video above. Wow! What a Super Bowl! It was a close hard fought game and the Pats nearly completed a winning "Hail Mary" pass in the final seconds. The Super Bowl has a special meaning for Mrs Blog and I. We met at a Super Bowl party. A Gazette writer has Victor Cruz with "the best feeling of his life". 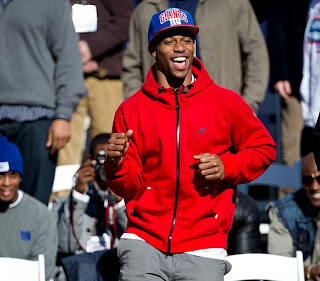 The Worcester Telegraph said Super Bowl victory has Victor Cruz dancing. The NY Times says Victor has all the right moves. Cruz's TD. Victor has 4 catches for 25 yards and a TD. James Ihedigbo had 5 tackles for the Pats. The UMass Daily Collegian has a story about Ihedigbo and Cruz playing against each other at the Super Bowl. There were 14 arrests at UMass, but nobody got hurt and there was no property damage. The MAC tied for third in conference representation at the Super Bowl with 13 players. 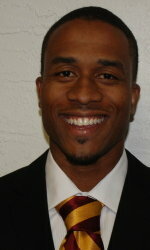 Football Scoop is reporting Bethune-Cookman receivers coach Allen Suber has been hired as receivers coach at UMass. He took part in an NFL internship program last summer. Jeff Thomas has a story about Suber's hiring. This article ranks new head coaches for 2012 and feels Charlie Molnar is #19. Like crunching numbers? I do. The Wall street Journal profiles an Englishman, Neil Hornsby, who found the NFL and became a such a statistics guru that the Giants are using his data in the Super Bowl. Hornsby's take on Victor Cruz's route running. As most people who read this blog know, I'm an amateur astronomer. I use Wolfram's Mathematica a lot in my double star work. Type in "Compare Giants and Patriots" into Wolfram's computational knowledge engine WolframAlpha. Take your choice of dozens of Victor Cruz stories. The NY Times says Cruz defied the odds at UMass. Cruz remembers his roots in Paterson here and here and here. ESPN Blog has Ihedigbo's incredible journey. 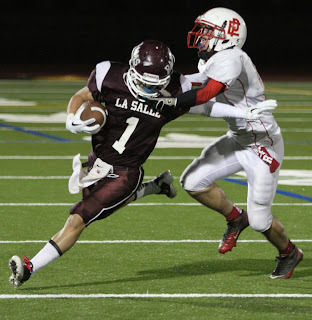 I blogged before on Robert Kitching signing with UMass. This article reports on the six members of the Railsplitters who sign to play college football. 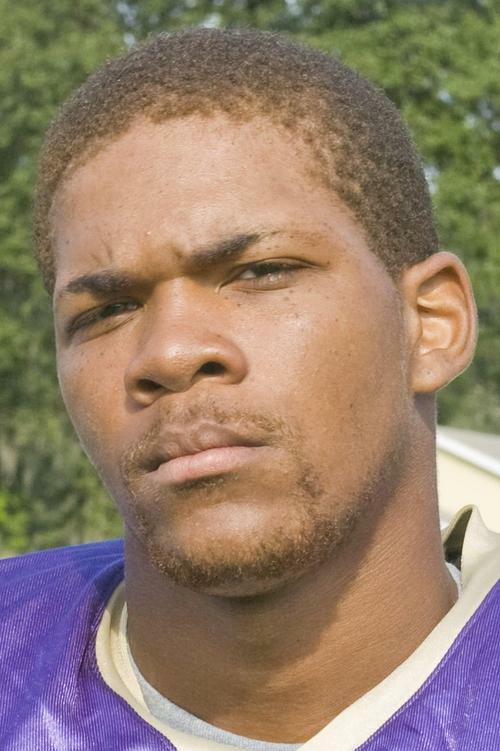 Kitching, who really only played two years of football, ended up being one of four NY players who signed with FBS programs. Thanks to the commenter who pointed out that Julian Talley is playing in the Players All-Star Classic today. Roster here (Talley's at the end). Mocking the Draft says Talley has the best hands at the game. The National Football post says Talley has stood out all week. The 4:00pm Saturday game will be on some Cox and Comcast channels. Check your local listing. Talley probably had his 2011 UMass numbers impacted by our QB troubles. I wonder how he would have done if Liam Coen had been throwing the ball for UMass. Or maybe Jeff Krohn. I think in Krohn's second year at UMass we had something like a dozen one minute or less scoring drives. 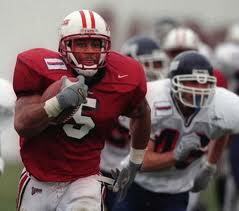 Matty V says with UMass' move to FBS, players like Victor Cruz and James Ihedigbo won't be anomalies in the future. Cruz and Ihedigbo have been creating a buzz for UMass athletics. Jeff Thomas reports that former UMass assistant coach Guido Falbo has been named HC at RPI. Chade Hunte was supposed to take recruit Vondell Langston to Antonio's during his recruiting visit. He forgot him. Langston, a product of one of the Northeast's most successful programs, is considered a top sleeper by ESPNU. I've blogged about Trey Dudley-Giles before. There's been a couple of articles about his signing with UMass. Tampa Bay Online says it didn't take him long to adapt. The Tampa Bay Times tells why he chose UMass. Bay New 9 has another story about Trey's signing and mentions a recruit UMass was interested in at one time QB Jacob Guy. Now that the bulk of the recruiting is over, it's fun to speculate on how we did. All the usual disclaimers apply. Some recruits probably won't make it past the admissions office. Some won't adapt to the college game. The various recruiting services have different standards. The troubles of five-star recruits are well known. But it is usually possible in a macro sense to determine how things went for a school. You take Gardner-Webb's recruits. I'll take Ohio State's. I'll win the game. ESPN lists 25 UMass recruits with a total of 20 stars. In 2011, ESPN listed 25 recruits with a total of 10 stars. A Toledo fan looks at the results from the entire MAC. TSN says the best FCS class was recruited by James Madison. ESPN lists JMU with 11 players and 14 stars. Victor is a Latin sensation. The Wall Street Journal says the Giants added Salsa to their offense. USA Today looks at players from the Giants and the Pats who were undrafted or cut by other teams. James Ihedigbo says he's playing for his family. Ihidigbo and Cruz are friends. NBC says Ihedigbo has emerged as a leader in the Pats secondary. The Boston Globe does a Super Bowl predictions roundup including a rhinoceros and an ostrich . UMass announced yesterday that Khary Bailey-Smith, a 6-2 190 pd WR from Weymouth HS signed a letter of intent to play with the Minutemen. 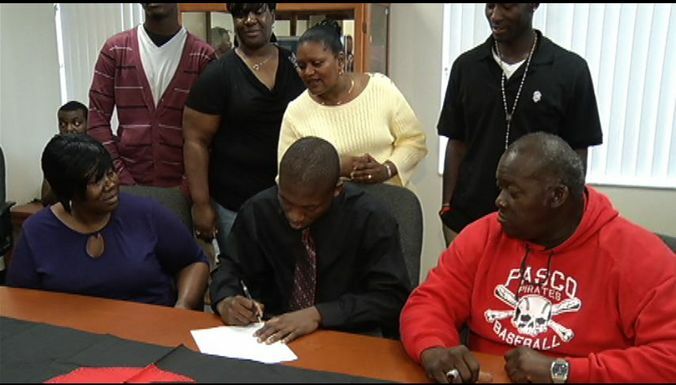 The Patriot Ledger has a story on his signing here. This article from the Patriot Ledger features him. Bailey-Smith has high jumped 6'10". He just misses a 7'0" state record high jump in the above video. Image from the reception at the Amherst Brewery last night. There was a pretty good crowd at the reception. The staff had to bring in extra tables. I spoke with Coach Molnar, his son Charlie Molnar Jr, and had an extended conversation with QB coach Nick Rolovich. The staff is not yet complete. Molnar introduced other of his coaches---quickly, so I did not get all the names, but they seemed to be the same names announced in the newspapers recently. I asked Coach Molnar about the killer 2012 schedule he inherited and he said "I knew that when I applied for the job". He again said he wanted to make UMass a top MAC team by 2014 or so. If he meets his goal, he and his staff could probably write their tickets to a BCS program. All three coaches I spoke with said recruiting went well, given the time constraints. They said the staff was working well together and they were happy to be in Amherst. As for the recruits, UMass signed 21 of 22 players that took a campus visit and the 22nd is still in play. UMass signed 16 team captains (something that Jimmie Reid used to do). Matty V article on UMass' 2012 signing. UMass Athletic Dept news release on the recruits. The Boston Herald has 24 recruits for the climb. MassLive has UMass inks 24 recruits on signing day. SB Nation has a short article on the UMass signing class. Temple says they had the best signing class in the MAC. I'll have more on the recruits I haven't covered yet in the next few days. A dark draft beer at the Amherst Brewing Co was $5.19. Mrs Blog and I have got to get to the big city more often.